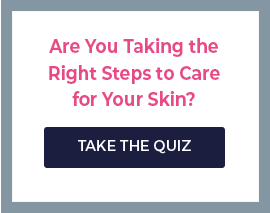 Purchase 12 Benefits products today! “Stay Pretty with Pink” is the motto and vision of 12 Benefits. Behind the vision are 12 Benefits products, the very latest anti-aging treatments for hair that are quite simply: Extraordinary! The goal of 12 Benefits is to help hairstylists improve their craft of hairdressing. The 12 Benefits founders have nearly 60 years of combined experience in the hair and beauty industry, including product development, product manufacturing, and sales and marketing. They are committed to providing stylists and consumers with innovative, value driven products that promote and maintain beautiful, healthy hair. The product concept – 2 perfect formulas, 12 exact benefits – appeals to stylists and consumers who demand the very best for their hair. 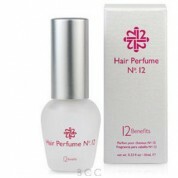 12 Benefits immediately transforms hair with instant, visible results. Supple, silky smooth, youthful hair is achieved. Hair concerns are overcome. Only the highest quality ingredients such as natural silk protein and Moroccan argan oil are incorporated into 12 Benefits products. Their formulas are free of sulfates, glutens, salt, formaldehyde based preservatives, animal ingredients and petrochemicals. 12 Benefits is never tested on animals. What exactly are the 12 benefits, you ask? 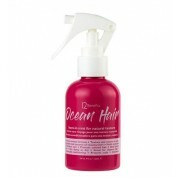 12 Benefits guarantees their products to: Seal in color, smooth frizz, repair damage, prevent split ends, moisturizes dry hair, strengthens fragile hair, prevent flat iron damage, protect from chlorine, wind and sun damage, protect from blow-drying, improve texture and manageability, and add shine, softness and a silky finish. Their concept is simple and effective: 1 unique brand + 2 extraordinary products = 12 tangible results in each bottle. Give 12 Benefits Instant Healthy Hair Treatment or 12 Benefits Rapid Blowout a try, and prepare to see the benefits.